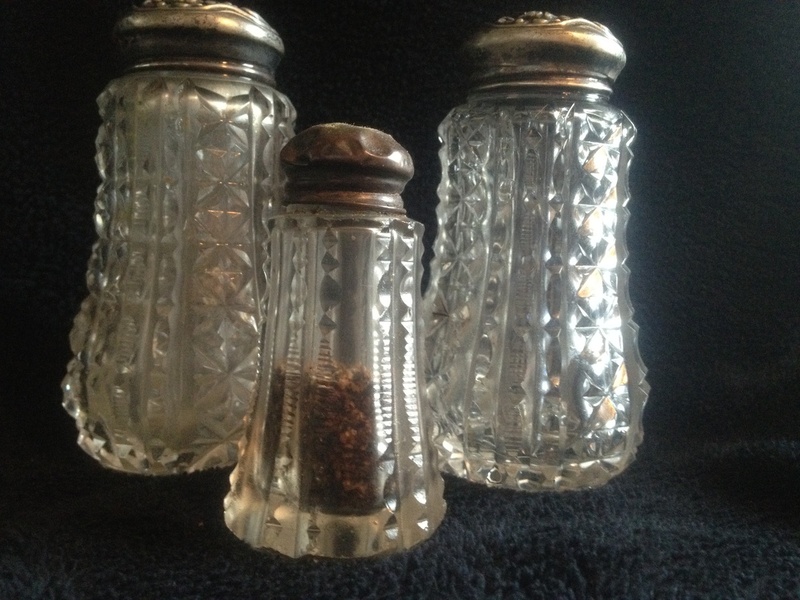 In Glassware > American Brilliant Cut Glass > Show & Tell and Silver > Silver Salt and Pepper > Show & Tell. I added a typical sized salt shaker to show how much larger this shaker set is. 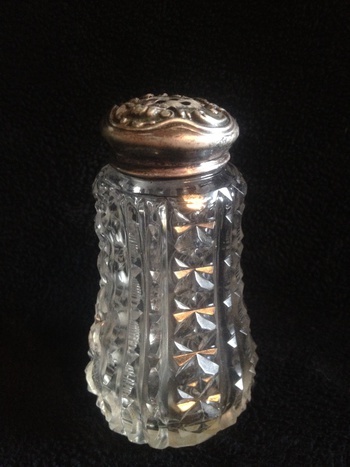 The tops are marked "sterling", but no other marks. I guess these were intended for large dinner parties. 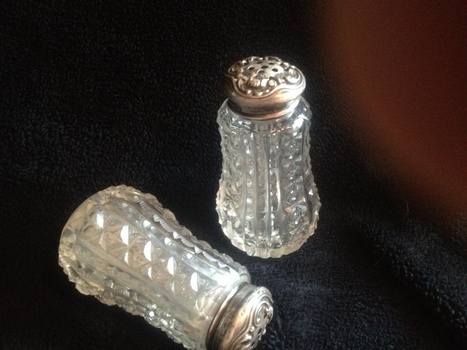 They are definitely cut, and not pressed glass. Very, very beautiful. Interesting info from TallCakes. Tallcakes, thanks for the info. You know your glassware. TallCakes is correct....Much better as Muffineers then salt and pepper set. Nice! I should have known better when I posted these. What was I thinking? I guess it is just because who in 2014 uses a muffineer? My 21st century bias was showing. Ha.